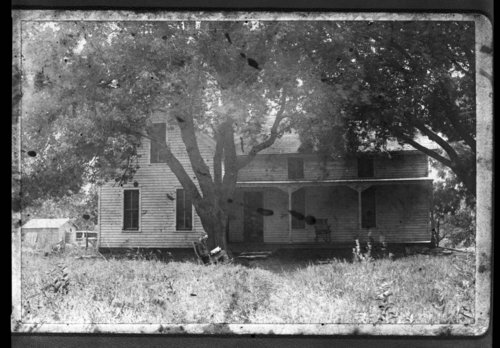 This black and white photograph shows Albert Rogler reading in front of the Rogler home. The house which faced the west, was moved in 1908 when the new home was built. This is the second structure built around 1876. There was a later undated addition.